“Israel has never had a better friend than you,” Netanyahu said, enumerating several instances in which the administration has delivered on campaign promises favoring the Israeli leader, including U.S. withdrawal from the nuclear deal with Iran, restoration of sanctions on that country and the recognition of Jerusalem as Israel’s capital leading to the relocation of American embassy there. “Your recognition is a two-fold act of historic justice. 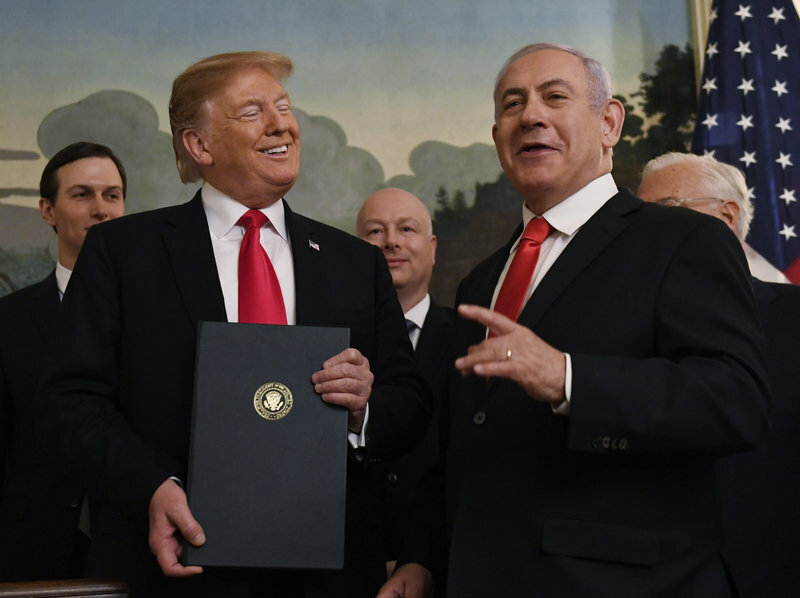 Israel won the Golan Heights in a just war of self-defense, and the Jewish people’s roots in the Golan go back thousands of years,” he added. Netanyahu called the high ground “invaluable” to the national security of the nation, as did Trump’s proclamation.